in Nsangou Njikam's monologue, the character Amen is writing a letter to a potential son or daughter that he hasn't had or even conceived yet. In telling them lessons about life, his lessons veer toward the dangers of living as a black person in this country, which spawns his letter in stating why he won't be bringing any children into this world. Minimum Fee: £30 per performance plus VAT when applicable. 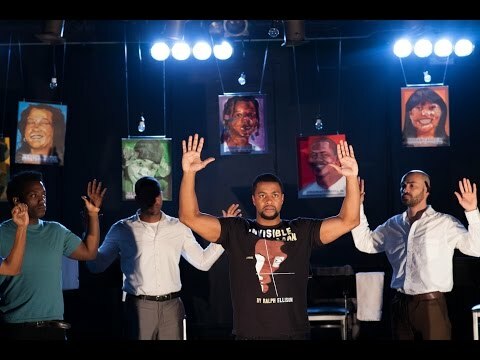 Hands Up received its world premiere at Flashpoint Theatre Company at the University of the Arts on June 13, 2015, directed by Joanna Settle.